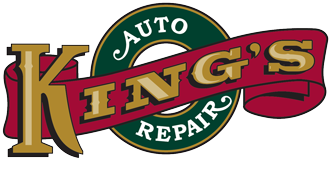 King's Auto Repair > blog > maintenance > Clogged Heater Core? Huh? Hi everyone. It’s cold outside and hopefully your car has good heat. If not the problem might be a clogged heater core. What causes a Heater Core to clog? Pretty much the same thing that will cause the radiator under the hood to to clog — lack of maintenance. What goes through your radiator also goes through the Heater Core. The Heater Core has smaller passages than the radiator thus any rust or dirt in the cooling system gets “filtered” out by the heater core and clogs it. When this happens it reduces the amount of coolant flowing through the Heater Core leading to low heat output. What is the fix for a clogged Heater Core you might ask? Usually it is replacing the heater core. Replacing a Heater Core is usually a large undertaking because the dashboard of the car needs to be removed and the box that contains the Heater Core needs to be disassembled. This is very labor intensive. The easiest way to avoid the large cost associated with replacement is to flush the cooling system every 3 years. This will remove any deposits and restore the the coolants ability to prevent rust.